"So guys I've retired from track and field looking to become a footballer but look at this", Bolt said in an Instagram post on Monday, in which he showed the drugs test notice. "We have to sit down with the coach and the management and see if we go forward, what's the plan and if they want to sign me or if I need to do more. That's the tough world of professional football". Bolt, who won eight Olympic gold medals during his days on the track, is a massive Manchester United fan and has a long-standing ambition to play professional football. The 32-year-old Jamaican has been on trial with the Central Coast Mariners ahead of the new A-League season and he scored twice on his first start in a friendly on Friday, but it seems unlikely he will sign for the Mariners. After a few months of training at Borussia Dortmund, Bolt shifted to Mariners in Australia to live his footballing career. Tony Rallis, who is working as Bolt's agent during his stint in the land down under, spoke to ESPN about the interest. 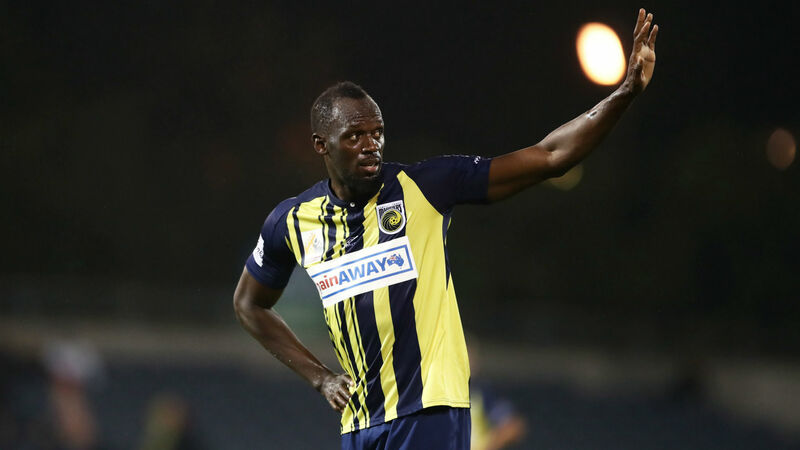 "There is a club in Europe that has offered Bolt a two-year deal", Rallis told ESPN.